What to do if you quickly want to chill wine but don’t want to chill a whole bottle by bringing out a big bowl of icewater with salt in it? Prepare for the situation by freezing grapes! When you need to chill a glass of wine, just take a couple of frozen grapes and put it in the glass. 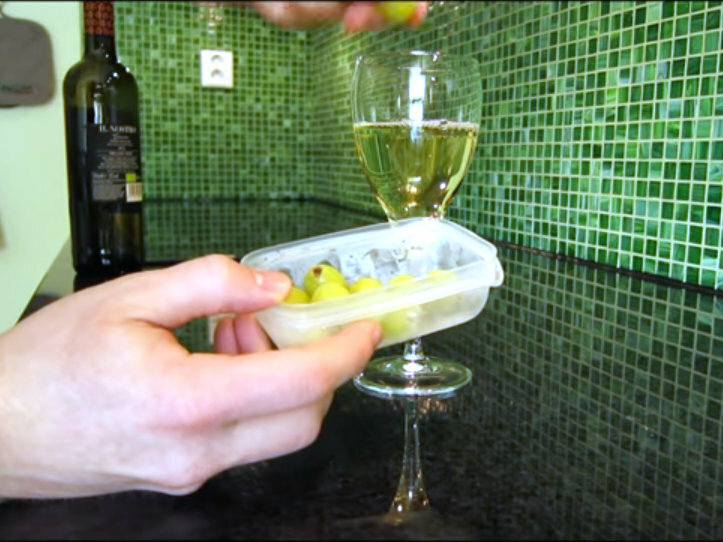 You’ll have your wine chilled quickly and without risk of diluting the wine! 1) Take a big bowl, fill it up with ice, then cold water and finally add salt before placeing the bottle in the bowl. What this will do is that the salt will make the ice cubs melt faster, thus transfering the cold temperature to the water. 2) Take some paper towels and drench in cold water, then wrap it around the bottle and place in the freezer.